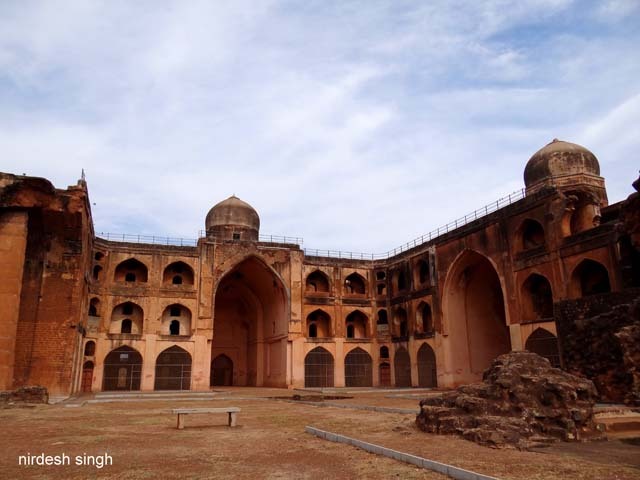 Bidar – Of Hasan Gangu, Mahmud Gawan and Barid Shahis - Ghumakkar - Inspiring travel experiences. Hasan Gangu’s weekly review concalls with Delhi’s Sultan Mohammad-bin-Tughlaq were becoming increasingly troublesome. He was not the only one who hated Tughlaq. The authoritarian regime with daily summary executions was riling the Delhiwallas too. They started writing nasty letters to Tughlaq. Tughlaq decided to lay Delhi in ruins. The new proclamation from the eccentric king commanded all the inhabitants of Delhi to move to the new capital of Deogiri or Daulatabad in the Deccan. But Hasan Gangu was not taking any walk. It was time to strike out on his own. Deccan Amirs of Delhi Sultanate rebelled against the Sultan and installed Nasir-ud-Din Ismail Shah on the throne of Gulbarga and Bidar in 1345. Sultan duly sent his troops to crush the rebellion. Hasan Gangu who was the commander of army based at Daulatabad rolled into Bidar with 20,000 horses. Sultan’s army was routed and his son-in-law killed in the battle. On 3rd August 1347, Ismail Shah invited Hasan Gangu to the Deccan throne. Hasan Gangu (1347-1358) established the Bahmani Sultanate or the Bahmanid Empire based in Ahsanabad Gulbarga in northern Karnataka and assumed the title of Abu’l-Muzaffar Ala-ud-din Bahman Shah. He was also called Zafar Khan. The name Bahmani probably came from the Brahmin Gangu who was Hasan’s master during the early days. Some believe it could have come from Hasan’s lineage tracing back to the Iranian hero Bahman. Hasan Gangu defeated Warangal and had frequent skirmishes with the Hindu Kingdom of Vijaynagar in the South. During his reign, the Bahmani Kingdom stretched from Daulatabad in Maharashtra to Bhongir in Andhra Pradesh. 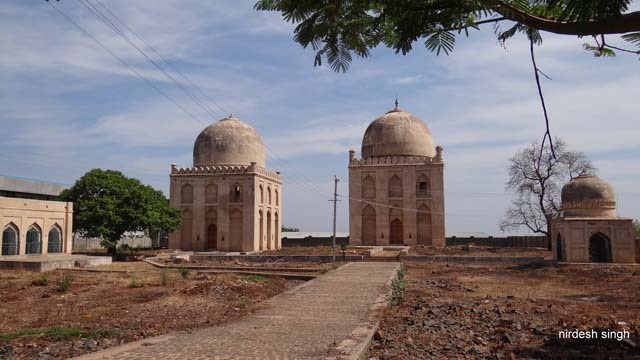 Bahmani Kingdom (1347-1527) lasted for 180 years out of which the first 78 years (1347-1425) were based in Gulbarga and remaining 102 years (1425-1527) were ruled from the new capital of Bidar. Bidar is 115 kms north east of Gulbarga. The Bahmani Sultanate was its peak during the prime ministership of Mahmud Gawan (1461-1481). After Mahmud’s death, the kingdom declined. So what goes around comes around. The regional governors set up their own kingdoms just like what Hasan Gangu did -Adil Shahis of Bijapur in 1489, Imad Shahis of Berar and Nizam Shahis of Ahmadnagar in 1491, Barid Shahis of Bidar in 1492 (hey, Christopher Columbus just discovered The Americas) and Qutb Shahis of Golconda in 1512. These were collectively called the Deccan Sultanates. 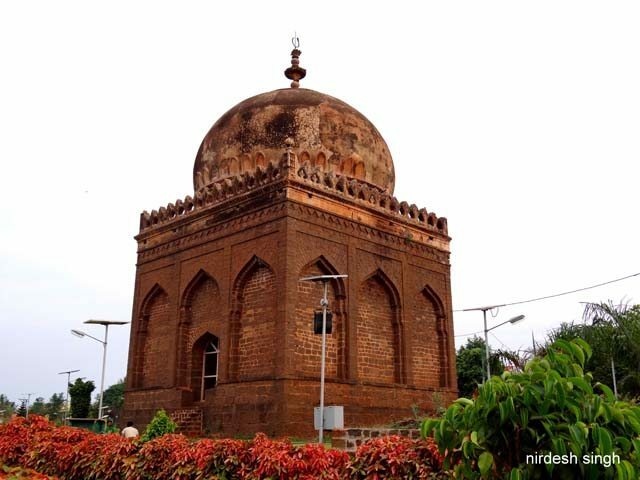 Bidar while being a province (1347-1425) of the Bahmani Sultanate was its capital (1425-1527) for 102 years and was also the centre of Bidar Sultanate (1489-1619) for about 130 years. The overlapping years had puppet Bahmani kings ruled by the Bidar Sultanate kings or Barid Shahis. Nearly 270 years of combined Bahmani and Bidar Sultanates have given Bidar a rich haul of monuments dotting the city which can easily rival that of Mandu’s. Since the Bahmani Sultanate made rapid strides during the times of Mahmud Gawan while based in Bidar it is appropriate to start the journey of Bidar with him. Khwaja Mahmud Gawan (1453-1481) was a Persian scholar and merchant who arrived in Bahmani Kingdom in 1453. Through his dedication and knowledge he soon rose through the ranks and served as a General and Prime Minister during the reign of Muhammad Shah III Lashkari (1463-1482). He built a magnificent Madrasa in 1472 that attracted a number of philosophers, scientists and divines and was the repository of over 3000 manuscripts. Mahmud reportedly built the madrasa with his own money and probably brought expert craftsmen from Persia. The Madrasa is the best known example of Bahmani (Persian) Architecture and is one of its kinds in India. The building functioned like a residential University. It is a rectangular three storey structure that consisted of a mosque, lecture halls, professor quarters and student cubicles. The walls were covered with blue, green, golden and white glazed Persian tiles. 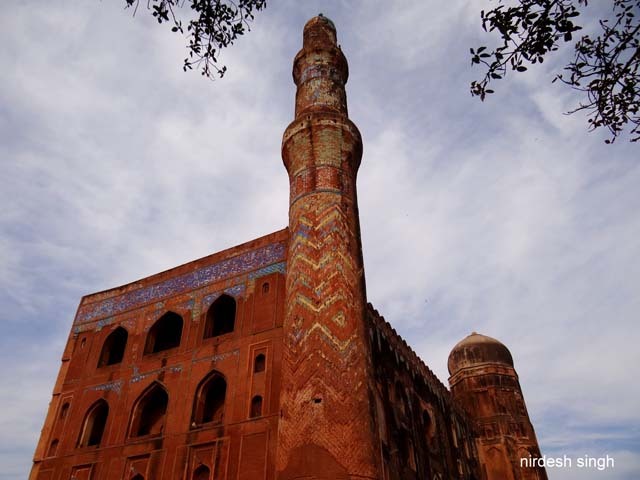 In its heydays, the madrasa would have looked pretty spectacular with the sun glinting off the majolica work; the minars soaring into the sky reflecting the aspiration of the founder and the students. The architecture provided the perfect setting for intellectual brainstorming and discussions. The scene of harried professors and students scurrying between classes would be similar to being played out at Feroz Shah Tughlaq’s madrasa at Hauz Khas Village in Delhi – unless all inmates fled during Taimur’s plunder of Delhi. Today, the madrasa is much in ruins. In 1656 Aurangzeb occupied the building (Bidar Sultanate was gone by 1619) and turned it into an army barrack. Aurangzeb believed in occupation and razing rather than building. Rooms in the south-east were used to store gun powder. Since Aurangzeb was not fond of smokers, somebody hid in the corner stealing a few puffs, when reportedly an explosion blew up along with the unwitting arsonist, portions of the south and east walls with the eastern entrance gate. Out of the supposedly two minars, only one 100 feet tall minar on the north east corner survives. The biggest surprise is that the two balconies of the minar project from the structure rather than being supported by brackets. 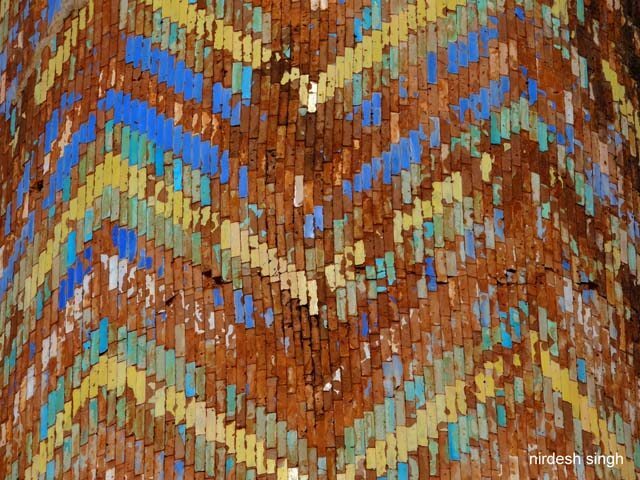 The minar has vibrant colourful patchwork of zigzag motifs. Facing the central courtyard are the reading halls with open arched doorways rising to three storeys creating huge iwans, which in turn are surmounted with domes. The minar, iwans, domes and glazed tiles complete the Persian Architecture. In the rear, you can see the three storey windows with stone lattices. 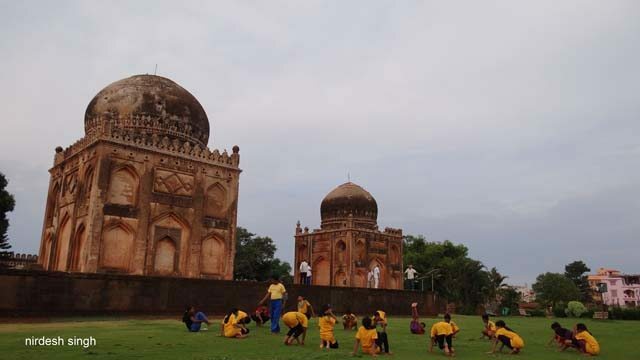 The open space in the back is being used for neighbourhood cricket matches as with most monuments. Mahmud Gawan was perhaps the greatest statesman and general of Deccan. He was pious, devoted to learning and a poet. He was reportedly executed by the jealous nobles upon the orders of the deceived Sultan in the year 1481. His death soon accelerated Bahmani Sultanate’s eventual decline. The repentant Sultan Mohammad Shah too died within a year of excessive drinking. You found the madrasa locked on both occasions when you visited – evening and early morning – so all photos were taken from outside or through the grills that have been set up replacing the south east walls. The madrasa is walking distance from the Bidar Fort entrance. Few yards from the madrasa you can see the Choubara rising over the old city. The Choubara or ‘Building at Crossroads’ is built at the intersection of two main streets in the old city and hence the name. The 71 feet tall cylindrical structure served as an observation tower. The massively built tower has arched niches built at the ground level. From the top you could supposedly get the view of the entire plateau on which the city sits and the plains beyond. The tower was possibly built by Sultan Ahmad Shah Wali of the Bahmani Sultanate. Recently, clocks on four sides have been installed on the top. But do not set your watch by them. Entry into the tower is restricted. Before meeting with the Bahmani Kings, let us visit the later Barid Shahi Sultans first. Barid means courier or messenger. When the Barids came to power they probably decided to take the name of the office of their Turk forefathers. Bidar Sultanate’s founder was Qasim Barid (1489-1504) who like several stalwarts of Delhi Sultanate started as a Turkish slave. Qasim became the proxy ruler during the reign of Bahmani Sultan Mohammad Shah IV (1482-1518). Qasim Barid proclaimed his independence to found the Bidar Sultanate or Barid Shahi dynasty. In 1492 the Sultan confirmed Qasim as the Prime Minister. Soon the Sultans became mere puppets in the hands of Qasim and his successors. The last Bahmani Sultan Kalim Allah Shah (1525-1527) died a fugitive thus ending the Bahmani Sultanate. While Kalim was running around saving his life, Ibrahim Lodhi lost his to the first Mughal Emperor Babur in the First Battle of Panipat in 1526. Qasim’s successor was his son Amir Barid (1504-1542). Amir Barid was in constant war with the newly established Bijapur Sultanate. In one of these battles he had to beg for his life. In exchange for his life he lost a lot of jewels and territories. He died in Daulatabad and was succeeded by his son Ali Barid who for the first time in Barid dynasty assumed the regal title of Shah. Ali Barid Shah (1542-1580) was the most powerful Barid king and also ruled for the longest tenure. He was a cultured king who was fond of arts, poetry and architecture. He built his own tomb. He was attacked by the combined forces of Nizam Shahi of Ahmadnagar Sultanate and the Qutb Shahis of Golconda. Bijapur came to his conditional rescue. It was during the time of Ali Barid Shah that the Deccan Sultanates came together to fight against the Kingdom of Vijaynagar. The famous battle is known as Battle of Talikota. Ali Barid was succeeded by his son Ibrahim Barid Shah (1580-1587). Ibrahim Barid was further succeeded by his son Qasim Barid Shah II (1587-1591). There is very limited signage with the monuments in Bidar. Two months later when trying to identify the tombs correctly, you call up the local ASI circle people in Hubli & Bidar and download for free the definitive book ‘Bidar – Its History and Monuments’ written by Padma Bhushan Dr. Ghulam Yazdani (1885-1962). Dr Yazdani, Superintendent of Archaeology of the Nizam’s Dominions, first visited Bidar in 1915 and thereafter undertook extensive studies of monuments of Bidar and later also of Ajanta and Ellora caves. Just behind the Bidar bus stand is a large fenced garden of about thirty acres called Deccan Garden. In the south there is a narrow entrance with a swivelling gate. People who have been regularly working out in the garden will only be able to go through this gate. Directly in front is a large two storey gateway. On the west a wall with a corner watch tower joins into the Southern Gateway. The enclosure houses mosque that includes the prayer hall, cistern and an arcade in the south. The Ali Barid Mosque is imposing with the front having three arches and two minarets resembling the minar at Mahmud Gawan Madrasa The mosque looks strikingly pretty in the early morning sun. Straight ahead is the tomb of Ali Barid Shah I and on its right is the tomb of his son Ibrahim Barid Shah. Both tombs look unusual in the sense that the domes are disproportionately huge in relation to the slim base structure below. It seems high wind will topple the structures. Compared to these lanky tombs, the tombs you have seen so far are shorter & heavier and visually more balanced. But then what do you know and the tombs seem to be doing just fine. The 70 feet high Ali Barid Shah I Tomb was built by Ali himself in 1577. The interior of the tomb is bright and airy because of the four lofty arches on each side. Usually tombs you have seen are dark and closed from all sides. The chamber contains his grave and that of his wives. Outside on the platform lie number of graves probably of the ladies of his harem. The tomb displays some decoration on the outside. The dome inside has inscriptions on glazed colour tiles. Google earth reveals that the tomb was probably built in the middle of a charbagh. The walls or any water channels are all gone. A little distance to the west exactly in the same line is the Ibrahim Barid Tomb. The imposing tomb is similar to Ali Barid tomb but smaller. It again sits on a high platform with a number of graves spread all around. The intervening space between the two tombs is taken by an enclosure with scores of graves. These are sixty seven graves in all and probably belonged to the harem of Ali Barid. One just cannot imagine if actual people are buried there or these are just cenotaphs marking reserved places for burial. The grave stones were probably made around the same time looking at them. Graves are everywhere – across the grounds, on the tomb platforms. You have not seen so many graves packed so densely. It is like entire clan was wiped out in a single stroke. Bidar seems be a chocolate box of monuments in every corner. While going to the Deccan Garden, you see this group of monuments on the other side of the road. Walking just beyond the bus stand on Naubad Road brings you to Barid Shahi Park on the right. A locked gateway in the South with three arches leads into the park. There is a gate on its left side for the public. The park is lovingly maintained with walkways and lush grass and in the early morning is the equivalent of Delhi’s Lodhi Garden. People of all ages are working up a sweat. They are walking, stretching, laughing and turning into pretzels. 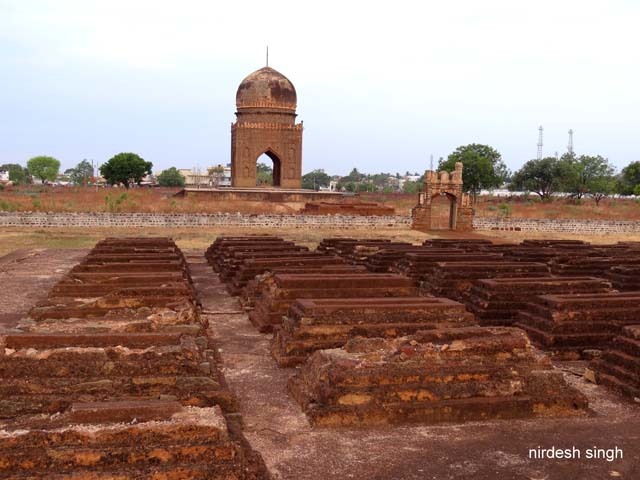 In Bidar, sites having multiple tombs have all the tombs lined up in a single file. You saw this in Ashtpur and again in Deccan Garden. Here too in Barid Shahi Park, tombs are lined up probably in chronological order. Just beyond the gateway is Qasim Barid Shah II Tomb. Compared to Ali Barid Shah tomb, this tomb seems proportionate as regards its walls and dome size. The square tomb has walls with three arches each and the door on the southern wall. To the West of Qasim Barid II tomb, there is a similar tomb but smaller in size. The signage says it belongs to the founder Qasim Barid. Later while writing this post you found out that Qasim Barid tomb and his son Amir Barid’s incomplete tomb lie in a different area which you missed seeing in this visit. This is confirmed by Yazdani’s book. To the east there are more tombs with no signs. The tombs are believed to belong to the clan of Qasim Barid Shah II. These could be later period Barids who had little power in the face of growing influence of Bijapur Sultanate. 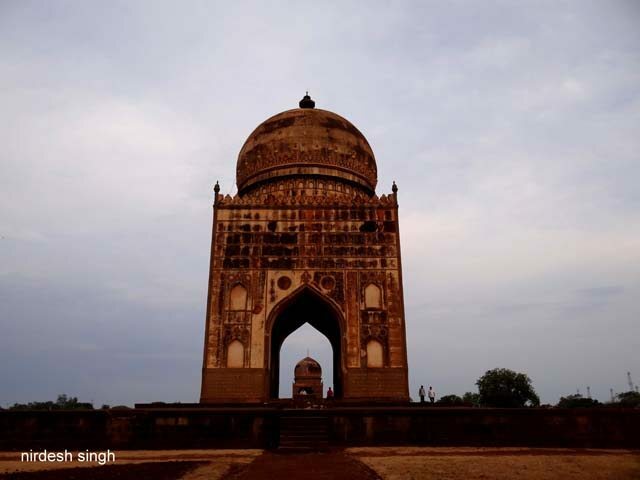 One notable tomb in the cluster is the one that belongs to Chand Sultana or moon-faced queen. There are no records to identify who this lady was but looking at the imposing tomb and carved cenotaph it is apparent the lady was distinguished and had some title. After the Battle of Talikota, the neighbouring kingdoms of Bijapur, Ahmednagar and Golconda had become too powerful for Barids. In 1619, the last Bidar ruler Amir Barid Shah III was defeated by Ibrahim Adil Shah II of Bijapur and Bidar annexed to Bijapur Sultanate. Just beyond the Deccan Garden, driving on Naubad Road towards the Air Force Station, you find the solitary Hazrat Nizamuddin Tomb on the left side. He is different from Hazrat Nizamuddin, the patron saint of Delhi. The tomb is a square structure which would be at home among similar tombs in South Delhi. The door on the west is locked with some graves out in front. Hazrat Nizamuddin was a popular saint during the reign of later Bahmani Kings. A short walk from the bus stand brings you to Nanak Jhira Gurdwara. Just before the approach road to the Gurdwara there is a locked enclosure with three tombs and a small mosque. The tombs apparently have been recently restored. The entire setup is similar to the Deccan Garden albeit at a smaller scale with an extra tomb thrown in. One of tomb belongs to the saint Hazrat Sayyid-us-Sadat who came to Deccan at the invitation of Ahmad Shah Wali from Gilan, a province of Persia. In the other similar tomb, the saint’s wife, son and daughter are buried. 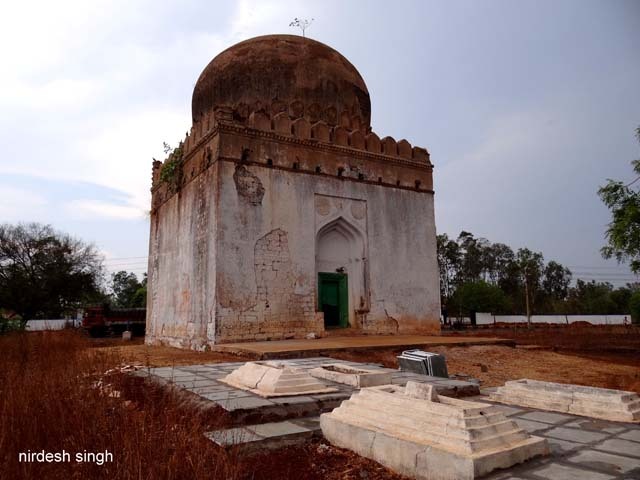 One side of the complex has a mosque and on the other side is a smaller tomb belonging to a lady. 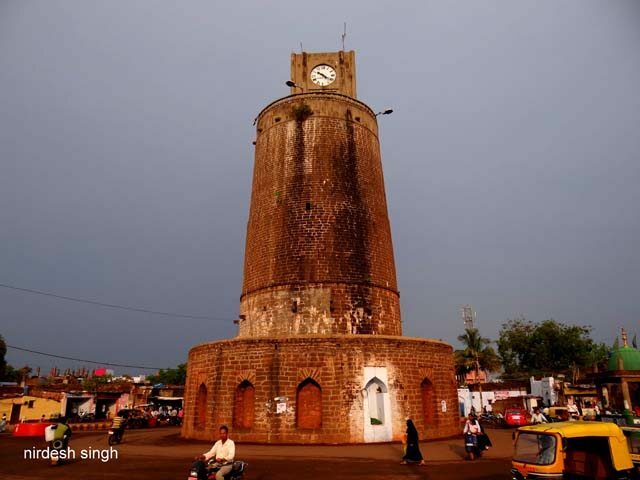 Bidar with its great weather and hill station qualities is a surprise package. There is so much to see including the burial site of the Bahmani Sultans and Bidar Fort. Just like Hampi to the south, you want to come to Bidar again. Hasan Gangu and Mahmud Gawan will like that. 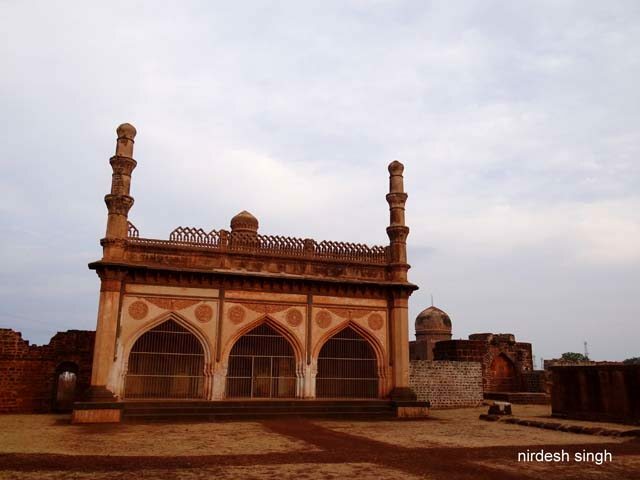 Getting There – Bidar is a comfortable 150 kms west of Hyderabad. Expect some delay in Zaheerabad which is an industrial town on the AP border. State Transport bus services in AP and Karnataka are the best in the country. Bidar needs two days to be fully explored. 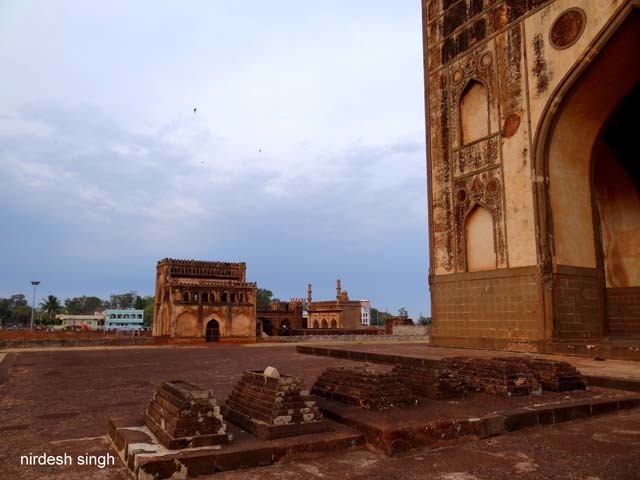 One day for Bidar Fort & Ashtur and the second day for all the monuments dotting the city and Nanak Jhira Gurdwara. Never met a Fort I didn�t like and never missed meeting a Fort within 200 kms. I love history and archaeology and wildlife and nature and books. Wish I was a historian or archaeologist. Currently travelling and discovering India. Perfect day would be watching sea waves crash into rocks, climbing Machu Picchu in Peru, admiring Blue Mosque in Istanbul and hoping to capture that blue bird in camera. Wow. The art of story telling is getting better with every new post. I guess only by this post, I am now beginning to follow the scheme, first you understand the context and then you read the experience. Bidar seems like a city of tombs and on thinking more, I guess there was so much focus on ‘Tombs’ (rembr Tajmahal) that it seems an entire era was dedicated to this structure. May be this unlike Hindu kingdoms where temples were more prominent. Forts was probably a common pasttime for all. Was the swivel not working in the park, you know one of those things where one needs to slide in from the little opening between the non-moving swivel and stationary boundary. And worse, why would people changing into pretzels ?. I have never understood on how a pretzel can be a finger food but anyway, that discussion for some other time. Yes, when going to Bidar all I knew was that the general area was the stronghold of Bahmani Sultanate. And all I remembered from school was the word Bahmani. Also, I had seen the song Ishq Sufiana from the Dirty Picture that was shot in the Bidar Fort. That time I was more interested in getting to Badami and Pattadakal down south. And then these tombs started appearing everywhere. I have never seen so many graves in my life before. Barring the palaces in Bidar Fort and Mahmud Gawan Madrasa the entire area is carpeted with graves. And then the names were not making sense. Two months later while writing this post I went into the history and placed Bahmani Sultanate in context with Delhi Sultanate. Yes it does seem kings were more interested in building their tombs than their palaces. Also, tombs had more chances of survival than forts and palaces which were dismantled by successive builders to build their own. The gate was working but everything was so tight that even I who is lean and mean had to take the backpack off to be able to get in! The yoga teacher in Barid Shahi Park to impress the parents strolling around was making the kids bend into different shapes. I think pretzels take time before you start liking them. Americans love their pretzels with beer. 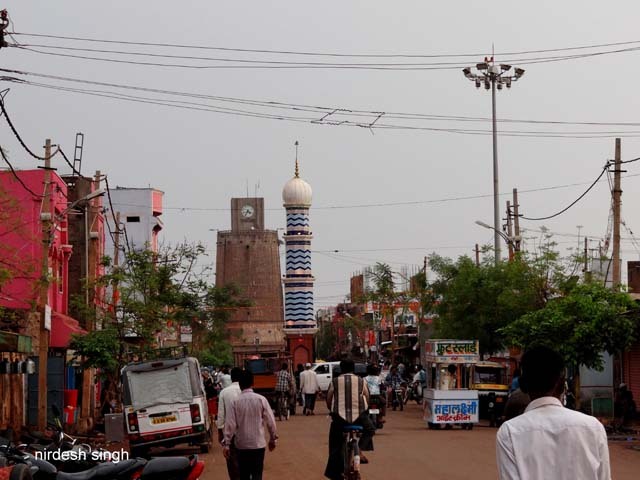 Bidar is a great city with seemingly good quality of life. Despite being a major Necropolis. I’m probably the first one to read the story but thought to read in detail. I do admit that I haven’t heard about this place before (except a few comments of yours in some of the posts), as far as my memory goes. Yes not many people will be aware of Bidar’s history. Bidar is a modern city being developed into an educational hub. I loved the city during my overnight stay there. Wow, what if that had come true! British did contribute to the discovery, restoration, cataloguing of the monuments in India. Only after 1857 that they hit out and levelled half of Red Fort. After reading your post first I have seen full songs “Ishq Sufiyana” on youtube and first time I have given my attention on the locations which are extremely beautiful. It’s one of my favourite songs but first time I was seeing the location in place of listening the song. I think you should try to publish a book. Thanks a lot for sharing this. Hi Saurabh, please read my comments below. Wow Man, history retold and made us aware of the glorious past of Bidar otherwise this town seems insignificant. Bidar can make an excellent walking destination. Rolling plateaus, forests and new discoveries of places associated with the Sultanate. With no danger of drowning or eaten by leopards! Woof…Nirdesh bhai…this post made me go up & down quite a few times…seemed a bit long…but this is fortman’s style unfolding Bidar for us…thanks for that. I am not a great history buff, but tried whatever i could learn…i have always liked your way of connecting things…like you mentioned about Discovery of America by Columbus & Battle of Panipat, people might not remember dates & all…but providing such major references really helps remember events…kudos! Research, write up & photos all are too good…keep sharing! Thanks for the extra effort. Yes, I know it is not an easy read and is heavy with history. Dr. Yazdani’s book is the authority on Bidar’s history and architecture and I took liberal help from it. But the largely forgotten Bidar history has to be told. My incoming posts on Bidar will take you to inside Bidar Fort. So far I am still writing about the tombs scattered in the city. I remember asking the ASI people in the fort why they let the film crew light up fires during the shooting inside the protected fort. They said it was in the open space. I guess they were more interested in the revenue. The song indeed was beautifully picturised. Thanks for keeping up late in the night reading this. Someday! What do you mean � you are a bonafide historian now! You might acquire new hobbies with newly acquired friends! You are lucky that I was in Bidar overnight only, otherwise this post would have doubled! You are a great reader and observer. Thanks for reading and your feedback. Enjoy MP but come back soon. It is reported that kids start calling their fathers Mamaji once they finally come back from seeing all that MP has! Super narration and thanks for visiting Bidar. Yes, Bidar is a wonderful city with lots of surprises. I think it needs more promotion so that history lovers can be a part of its heritage. I went through your blogsite – it is good with lots of information about Bidar. My posts on Bidar will continue. Your always welcome to Bidar and History lovers like you also an asset of india whose interest in visiting and exploring new places and showcasing the same in in media which inspire many to visit the same place.. Very nice photos and more importantly very fine narration ! the entire series is a compelling read ! I am reading your hoard of unknown delights. Hoefully you have some new posts lined up. I like your writing style and seems like we share love of History. You certainly have a way with words � History as mistress, wow! The scale of plunder of Vijaynagar is apparent when you visit Hampi. I was lucky to visit Hampi twice this year. The ruins are magnificent. We don�t know the entire screenplay. Most of the kingdoms vanquished were due to internal betrayals and sabotage. Something similar happened in the Battle of Talikota too. It is believed the rich city was pillaged for six months after which it never recovered. I think you should take some time out to visit Bidar, Gulbarga and Bijapur and later Hampi � one packed week schedule. Yes Bidar has grand testimonials and some more are on the way! Thanks for reading and for your always illuminating comments. Ya the most wonderful place the bidar .all you can visit the bidar and see it.thank you nirdesh bro For this information and show to the world that bidar is also a wondrous PLACE .iam proud to be an iam also from bidar city. Nice to hear from you. Bidar is a great city with a wonderful collection of Monuments. Would like to visit Bidar again! Well researched post and so informative! I will definitely take time to go through your other posts being a history buff like you. Any reason why you did not write about the fort which has some unique defensive fortifications? 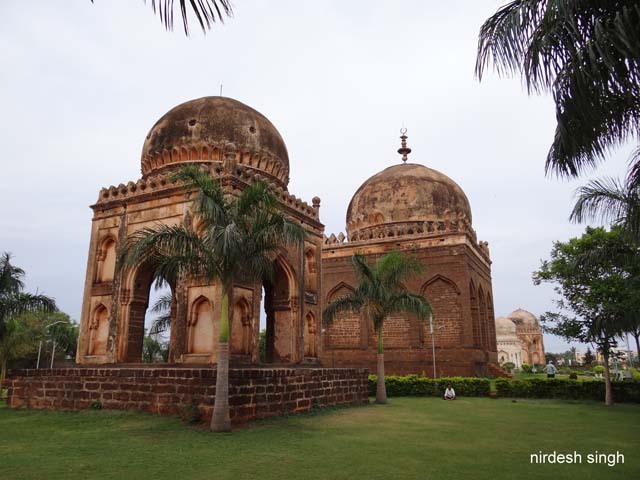 I think Bidar is one of the most beautiful places in the country and the the beauty of the monuments is enhanced by the rolling, green hills that surround the place. On one of my visits to Bidar somebody told me that the reason the capital was shifted to Bidar from Gulbarga was the availability of water all the year round and the salubrious weather . That it is located on a plateau and there was a ready made site for an almost impregnable fort could be other reasons. There are wells there which never go dry even now since below the surface there are two layers of rock-porous laterite and a layer of hard black rock below it which traps the water. The waterworks system of the city is quite amazing . Last time I was there they were clearing up some of the old water tunnels and I ventured into one of those huge tunnels. Scary but amazing!Standing there I wished somebody would pay me to do this kind of work :) While tracing the paths of these waterworks they came across the pleasure resort of Amir Barid III, the last Baridi king who was captured by Ibrahim Adil Shah II apparently from this very resort. 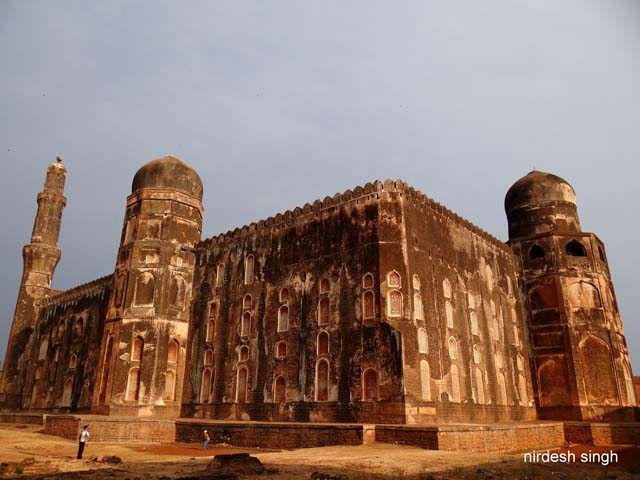 There were plans to convert Bidar into a UNESCO heritage site and in time too since “development” has not destroyed these masterpieces like in other places, though for how much longer god only knows. Not sure what has happened. Hope more people travel to this neat little gem of a place. Keep up the good work and popularise many such out-of-the-way places. Thanks for reading and replying! You are right � we all wish someone could pay us for what we really enjoy doing. Even after almost two years I have fond memories of Bidar. It indeed is a pretty city with good quality of life. I loved Bidar Fort with its triple moat fortifications. I had gone there twice over a 24 hour period, but found Tarkash Mahal and Solah Khamb Mosques closed. Later I got in touch with a local ASI man while researching for the post. I am hoping I get to go to Bidar again and this time inside Tarkash Mahal!. Then the Bidar Fort post on hold will roll out from the press! 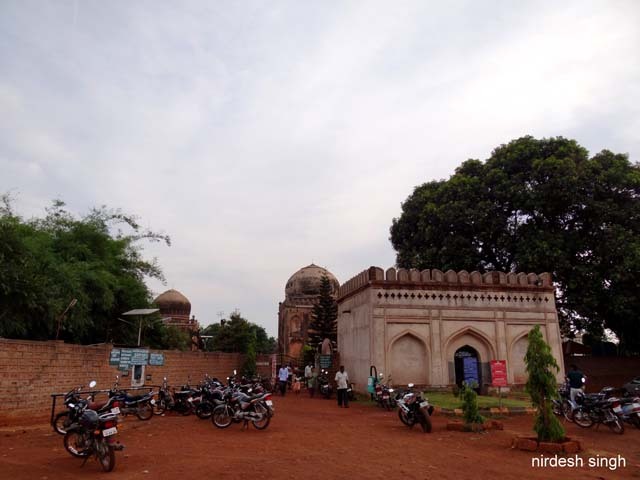 Yes I wrote about Bidar weather in my next Bidar post on Ashtur. I have heard about the excavation work being done in the water tunnels. Please share photos if you have some. I had also heard about the proposal about converting Bidar into a UNESCO city. In fact I wrote to the DM on his website if I could volunteer in some way. But never heard from them! I just wish they keep doing the good work at Bidar though Bidar Fort outside walls and some structures inside need help. Keep sharing your Deccan photos and visiting such lesser known gems! Another gem by you which is worth visiting for it’s beauty and architecture. Thanks for sharing your lovely pictures and interesting information. there are many new initiatives in bidar, like Bidar was only one which was selected by WMF and also bidar also in UNISCO watch list and we organised heritgae run in bidar which attracted whole country runners , etc. Interesting read and good information. Though I belong to the region, I paid just one short visit to Bidar, and missed most of the monuments :). Your post filled it up for me. Thanks. Gagar mein Sagar. Congrats for nostalgic historical narration with photos of era gone by. I had last visited Niagara Falls in 1973 and whilst on a recent trip i.e May – Jul 2011 to USA and Canada, it was only natural that me and my wife visit this place. So we boarded a train from New York for Niagara ( Canadian side) and reached there after a nine & a half hour picturesque journey on an Amtrak Train ( Approx USD 60 per ticket). The Canadian Customs took about 2 hours plus to clear the complete train load. They were nice but could not resist asking about the food stuff we might be carrying i.e. “ Sir, Any Khakras; Any Theplas; How much Currency on your person”. When told that Khakras and Theplas were the staples of Gujaratis and not ours, she just smiled and dismissed us.